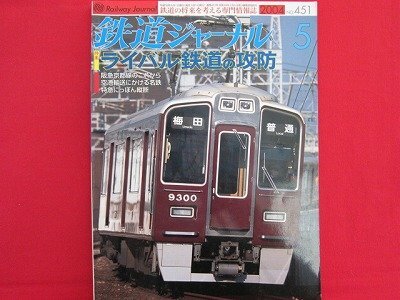 Title :'Railway Journal' #451 05/2004 Japanese train railroad magazine book Language : Japanese. This is an official book. Release Date :05/2004 Number : #451 Total Pages : 170 pages Condition : USED. Very Good. No missing page. express train, Locomotive and more. This book that can be obtained only in Japan. There are a lot of color pages and photo in this book. If you love train don't miss it!